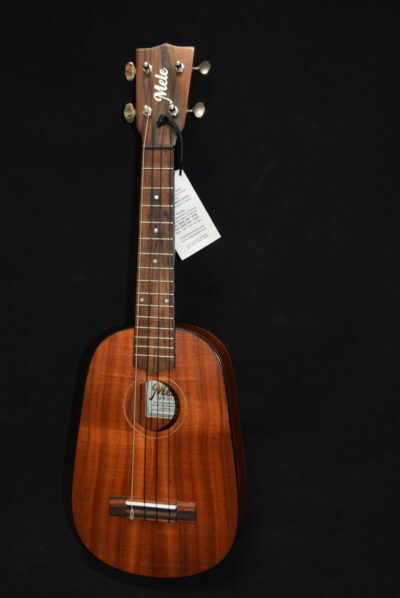 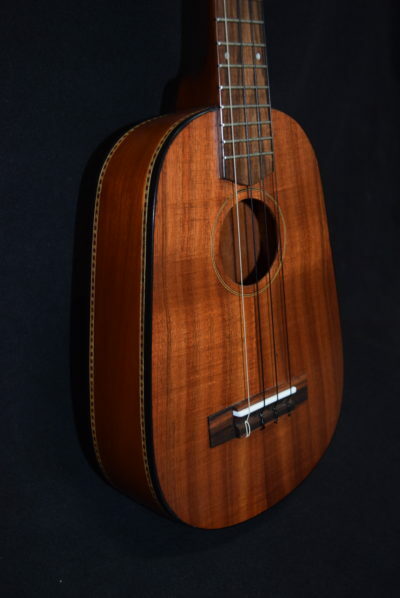 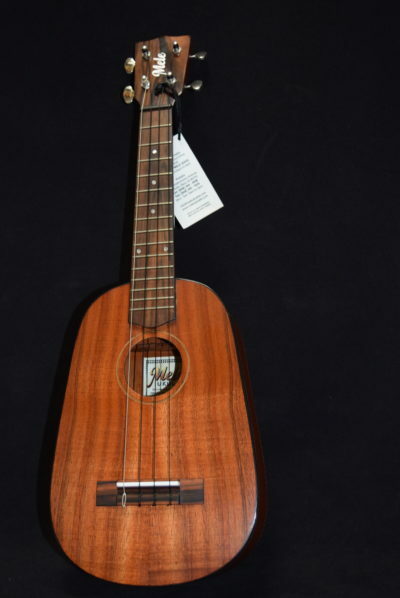 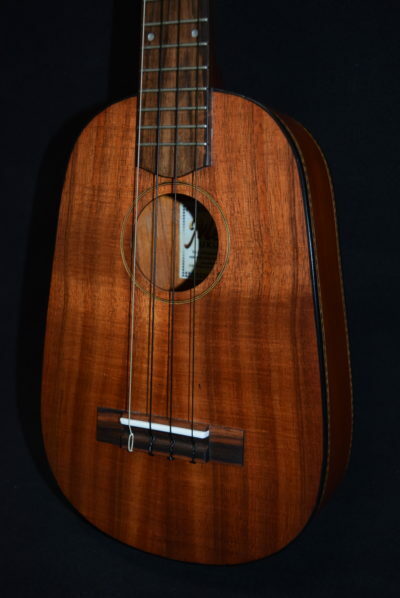 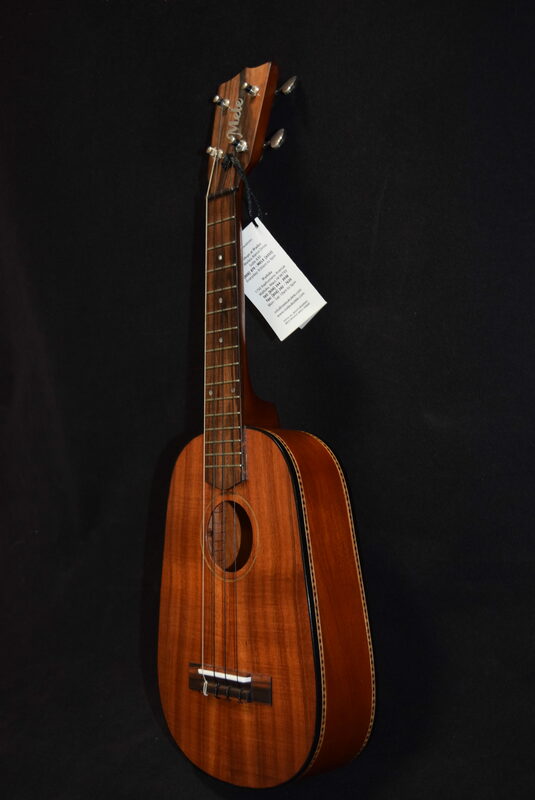 This beautiful solid wood handmade uke is even more of a bargain than our all-koa pineapple concert-sized ukulele. 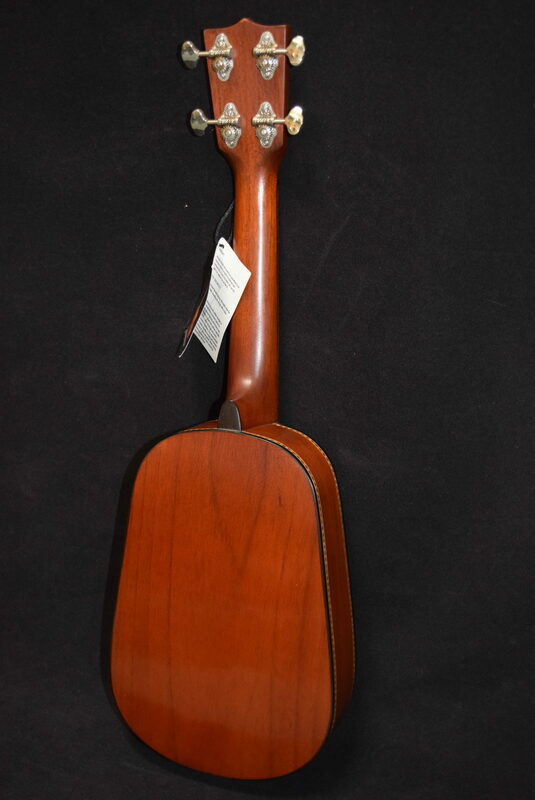 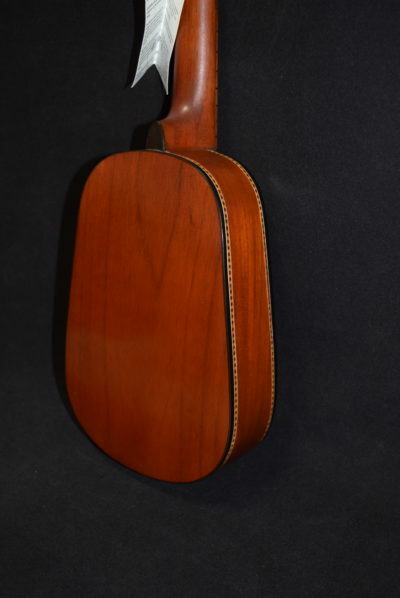 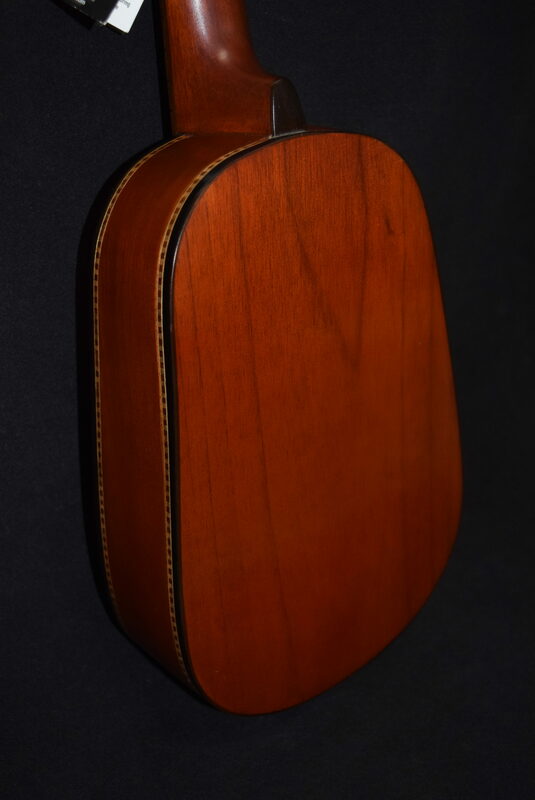 The back and sides are of beautiful, stable, warm-sounding mahogany, which reduces the price as compared to an all-koa model, but it still looks great and sounds great. 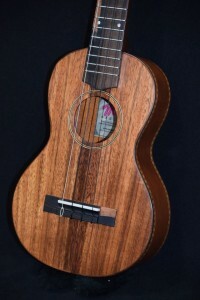 (We use mahogany for all of our necks because of its strength and stability). 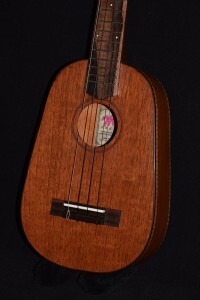 The rich, full sound of this uke is more similar to a tenor ukulele than to your typical concert-size, because of its shape. 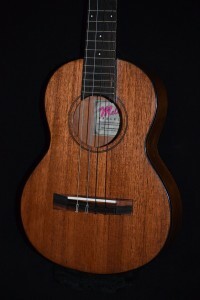 It has 15 frets, Meleʻs propretary 18 to 1 die-cast nickel-plated geared tuners, ebony bridge and binding, and all the great features that make Mele ukes so outstanding for their prices. 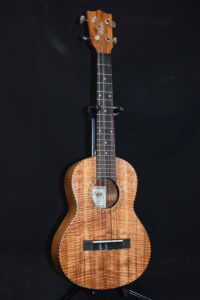 Hereʻs an ukulele that you wonʻt want to put down!